GlobalPlatform has released Web API for Accessing Secure Elements v1.0, a standardised communications interface between web applications and secure elements (SEs) that will enable sensitive data from online applications to be stored and processed in a secure, isolated environment. The new API “will enable developers of web services to build in advanced security features to protect online services against many types of attack and fraud”, GlobalPlatform says. 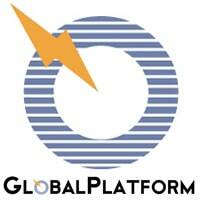 “By extending the benefits of GlobalPlatform’s secure, standardised infrastructure to web services for the first time, Web API for Accessing Secure Elements v1.0 presents web app developers with advanced security options which may help them to overcome multiple security challenges presented by the increasing connectivity of mobile devices. “The release of this API extends the highest levels of security available currently to web services, empowering online service providers to take advantage of new use cases to protect their assets and customers in a way that has not previously been possible,” Gil Bernabeu, GlobalPlatform’s technical director, says.